I write in light of the disturbing revelations of the conduct of retired Archbishop Theodore McCarrick that have become public over the past month. 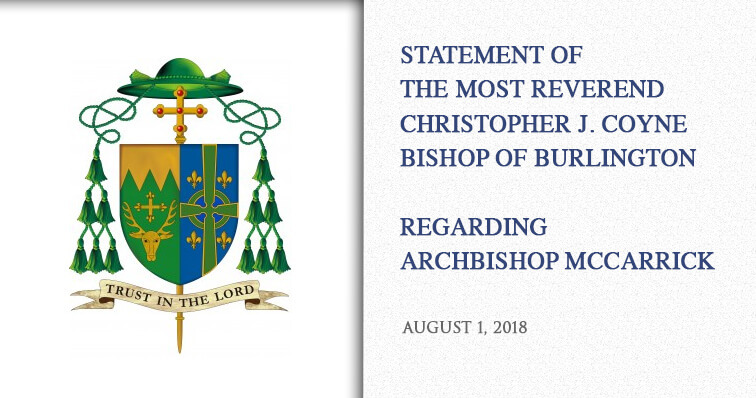 Please know that the Diocese of Burlington remains committed to supporting and caring for all victims of abuse, especially those abused by members of the clergy. I, along with the clergy, staff, and volunteers of the Diocese, will continue to work to ensure safe environments for all God’s people, especially children, youth and vulnerable populations and that no form of harassment, sexual or otherwise, is tolerated within our community.